York House Leisure (YHL) is delighted to announce that its plans to build a new retirement village on derelict land near Selby are to go ahead following unanimous approval from the planning committee of Selby District Council. The multi-million pound development at Gateforth Park will comprise 168 residential park homes, along with a reception, shop and meeting area, public and private amenity space, and a village green. 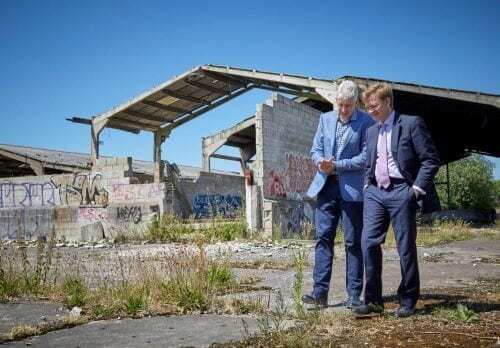 It will transform the 45-acre site of a former mushroom farm into an environmentally-friendly park which will include water features, lakes, and other measures aimed at enhancing biodiversity. Facilities in the nearby village of Thorpe Willoughby will also be easily accessible by foot from the site. The new retirement village at Gateforth Park will create four to six operational jobs, with many more during the construction phase. In keeping with the sustainable nature of YHL’s plans, during the construction phase the existing hardstanding will be recycled on-site. The development will expand YHL’s award-winning portfolio of retirement and holiday parks to six sites across North Yorkshire and Scotland. In recent years the company has made significant investment in its parks, helping to maintain its reputation for high quality holiday and retirement accommodation, and garnering accolades from both the English Tourist Board and Professor David Bellamy. Director of York House Leisure, Phil Brierley, said: “Despite the derelict state of Gateforth Park, which had been the victim of various acts of vandalism and fly-tipping, we recognised the potential of the site. Its good location and attractive environment offers us the opportunity to create a very special retirement village, and to really add value to the surrounding area.